Start Designing Your Wedding Invitation Suite | 2018’s Colour of the Year! I’ve got a trend alert for you 2018 brides-to-be! The official colour of 2018 has been announced and I’m loving the idea of seeing lots of shades of ultraviolet in the near future. From your bridesmaids’ dresses to your floral designs, there are endless ways to incorporate this year’s hottest colour into your big day. 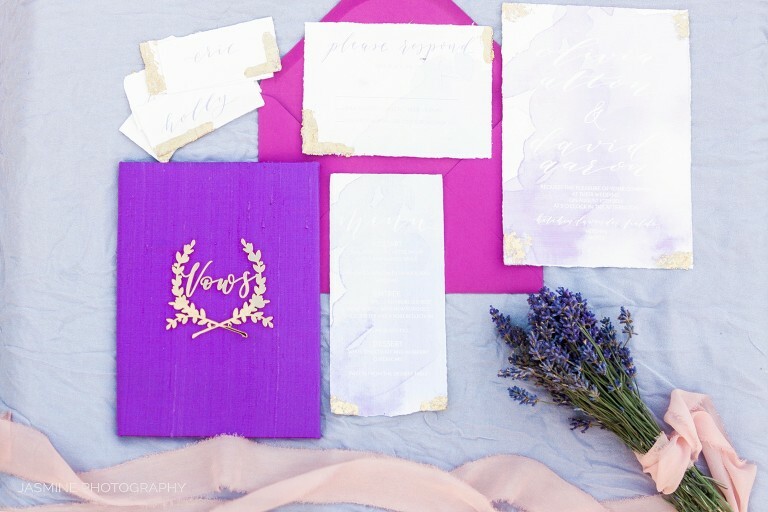 So if you’re an on-trend bride and are all about all shades of pretty purple in your wedding day palette, I’m breaking down how to flawlessly design your wedding invitation suite. To set the tone lets start with Ollie’s Studio who designed this luxury and romantic set for our recent bridal editorial photo shoot. It’s a fact that ultraviolet is trendy, yet if that doesn’t fit your idea of a perfect wedding then you can design your suite in the perfect tone of another colour! Your wedding must be unique to you! No matter what style of wedding you are having ie. boho, modern luxurious or romantic with plenty of natural light and flowers, there is a design that feeds your personality and aesthetics. 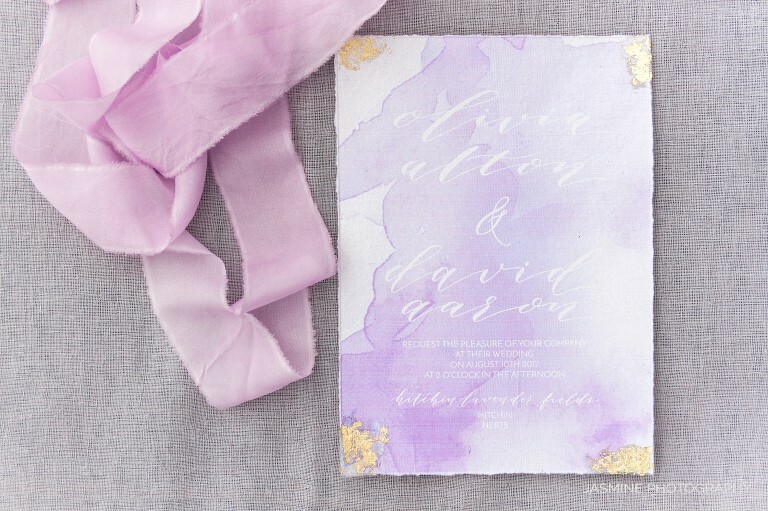 In this shoot, we went with more luxury, all shades of lavender and a hint of gold to compliment the whole look. Add there some silk ribbons and it’s a divine look already. 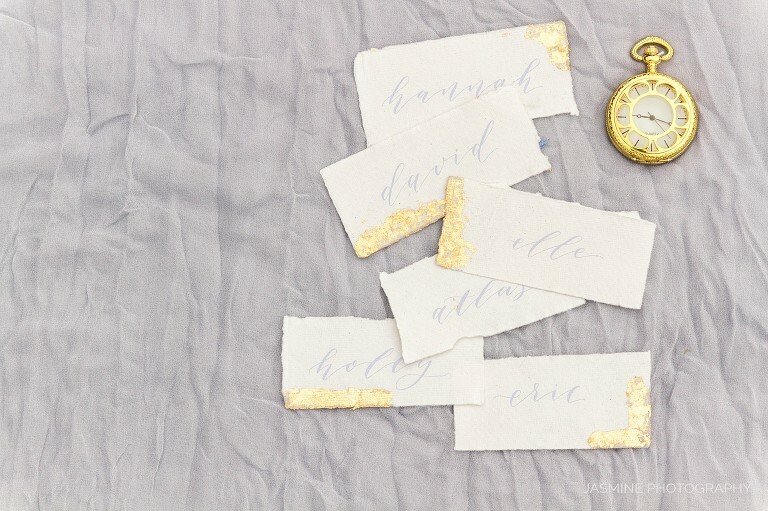 Luxury is when your invitation suite is handwritten in calligraphic style. There are many font styles you can choose from, but that’s a different topic. Whether it is lavender, ultraviolet or eggplant, there are SO many of pretty purples to choose from that will compliment each other! 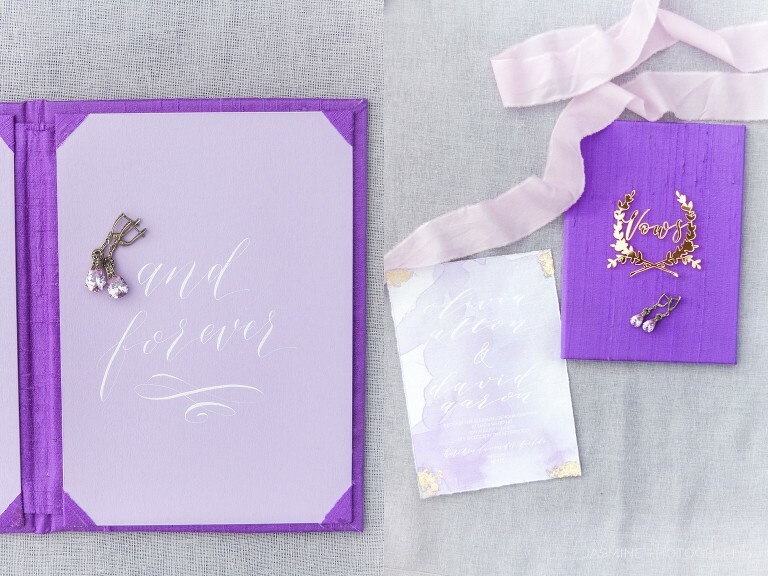 Instead of picking stationery all in one colour, try mixing shades of purple to design a gorgeous suite that is easy on your eyes and pleases your heart! One simple way to do this is to mix in a darker or lighter shade with the envelope liner. 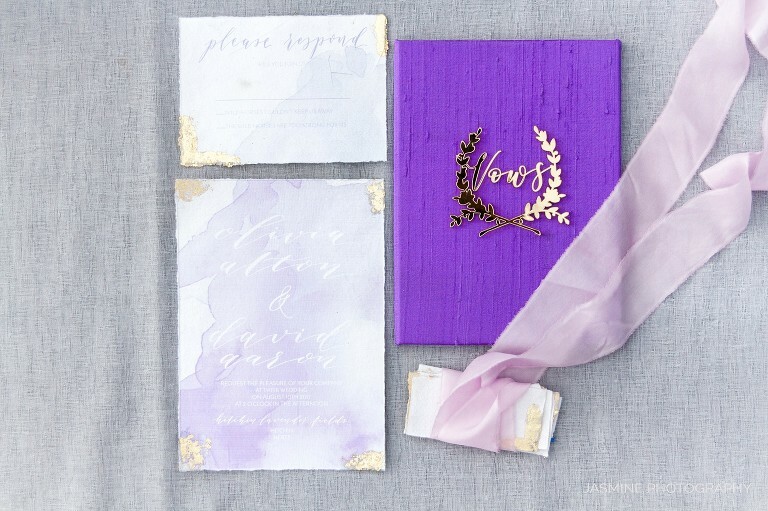 I would highly recommend adding different textures and materials to take your invites to another level. Surprise your guests with an invitation suit handwritten on a transparent paper or embossed on a luxury card. You can add dried lavender or rose petals to add to that personal touch. Us girls know that a splash of colour can make a big statement, therefore we choose it carefully! Once chosen your colour pallet it should be everywhere – invitations, save the date, ribbons, tablecloths, bridesmaids’ dresses, florals and in every corner of your venue. Luckily, there are no limitations on the florals for 2018. From dusty lavender garden roses to violet peonies to lilac tulips, floral design for your big day will add luxury and statement. As always florals look welcoming and romantic! You can equally search the whole of Pinterest. The variety you’ll find is endless. I really can’t wait to find out what my brides-to-be have chosen for their gorgeous weddings this year. From fine art ribbons to delicate designer wedding dresses to hand-picked florals.